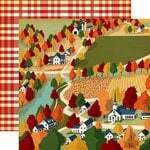 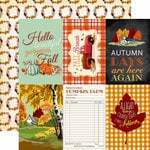 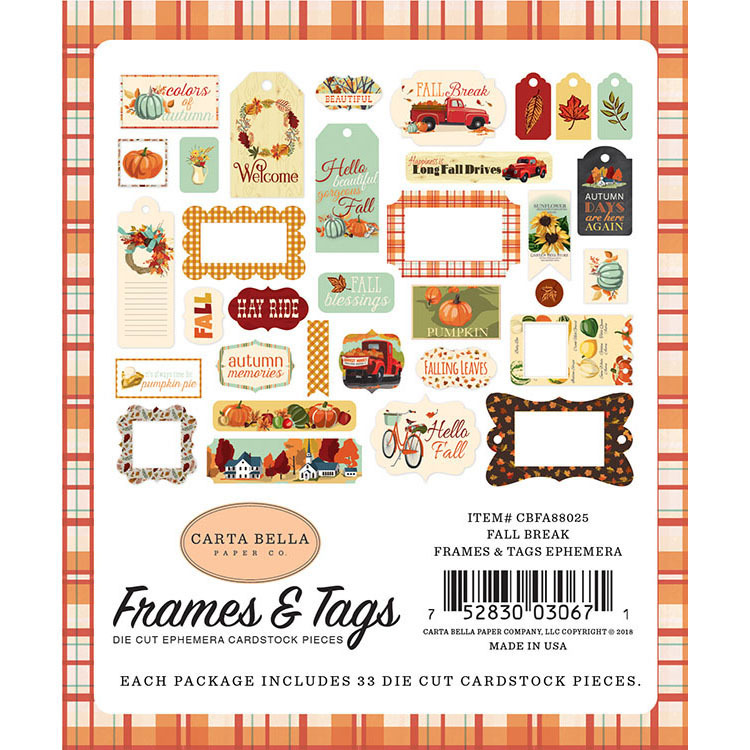 Frame your autumn memories with the Fall Break Collection Frames and Tags! 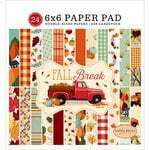 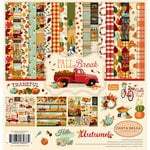 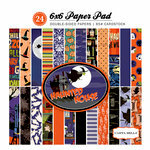 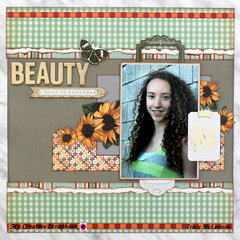 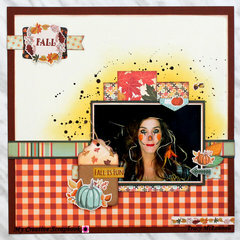 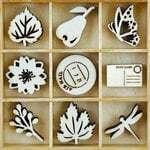 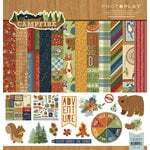 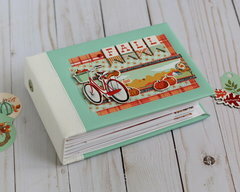 The package includes 33 autumn themed die cut cardstock tags and frames from Steven Duncan for Carta Bella Paper. 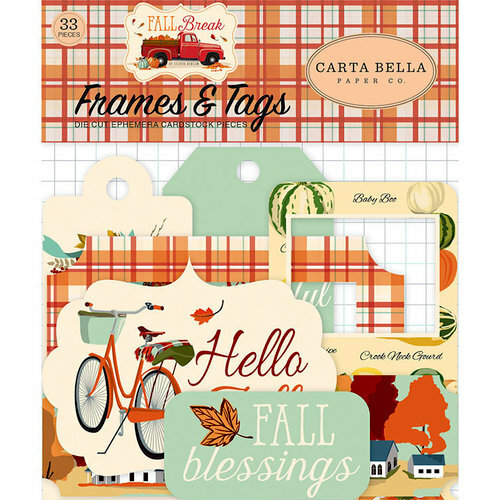 Coordinating pieces work with both Carta Bella "Fall Break" and last falls set "Hello Fall" Perfect match! 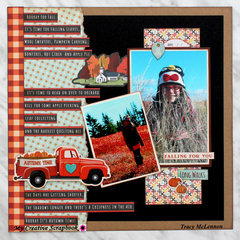 Scrapbook.com shipped quickly and products were well protected.